8mm Forum: What 9.5mm films have you watched this week? This is topic What 9.5mm films have you watched this week? in forum 9.5mm Forum at 8mm Forum. OK folks, what 9.5mm films have you watched this week I wonder? West of Inverness T/9664 1 reel. Directed by Steven Furnell this is a delightful trip back in time charting the struggle to survive in this part of Scotland. Some nice scenery, farming and this title has always been a popular film with 9-5 soundies which dates from the 1930's. To see the highlands of Scotland captured so long ago is pure magic and nostalgia. Nice film, but the 1932 date, as listed on u tube, seems a little doubtfull, as the commentator, McDonald Hobley, would have been only 15 at the time. Indeed, various other sources give the date as 1939, making McDonald Hobley 21 or 22 at time of recording. Maurice Trace's invaluable tome indicates the film was released on 9.5 in August 1950. I'm intrigued, Mikael, this is the second time in the last week that Maurice Trace's book has been quoted (see the previous post on 'Trigger Law') to settle a query. What is this book, and can it be obtained? Have looked on Amazon books but only have reference to a famous cricketer who died in 1956! He released it many years ago but they show up on ebay from time to time... It was a self published book so you won't find it listed on amazon,etc.. You should join Group 9.5 and use your free classified want ads to get one Maurice's books...he has done 9.5 sound films / 17.5 sound films / 9.5 silent comedy/drama films / and just recently put out his 9.5 documentary / educational films book. He also used to put out a zine called 9.5 sound news. Hi Dino, I am a member of Group 9.5 and get their quarterly magazine. Shall place an add. Apparently Trace has written several? How confusing! Yes indeed West Of Inverness was 1939 and the film also sits in the National Library of Scotland. Bit of a classic on 9-5 sound I always feel and full of nostalgia. The last additions to his books were sent in 2010. I didn't know about the educational catalogue,it must be very recent. He is a very gentle man and most dedicated to the hobby.He has been writing, seemingly forever,mainly in 9.5 magazine and wherever else there is or was a column or page about 9.5mm,discussing every title at length with information and "everything you want to know" about it. watched"Christus" two reels notched, very slow ponderous and reverential made 1912. No close ups but filmed in Palestine. In my 1930 Pathe catalogue. No spliches and no scratches. 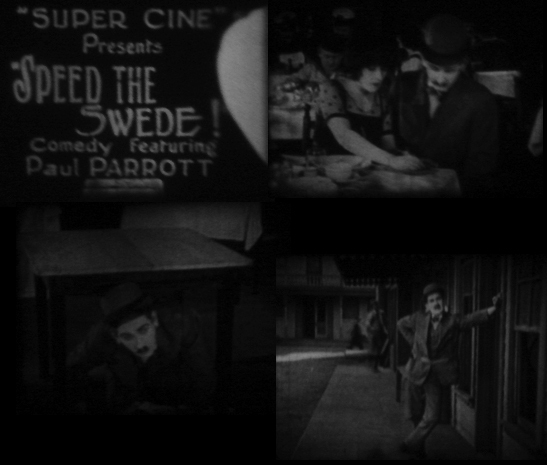 Then "Keystone Kops to the Rescue", all the classic funny bits, but not a Pathe print, Next "Manuum in Parvo" snippets from all the best Pathe films 60 ft notched. Arthur Wontner stars in this six reel sound film which follows Sherlock Holmes on holiday at his friends when a murder mystery then takes over. A popular one here from 1937 and the final time Arthur would play Sherlock in a motion picture, which was a shame as he was ideal and often overlooked in these films even today. Sorry to contradict you Lee but the last Pathe 9.5 sound release was T/9784, 'The Doomed Caravan' with Hopalong Cassidy. However, since only three copies are known to survive I think your not having come across it is quite understandable! Ah, the Arthur Wontner connection! You hit a nerve there, Lee! His films are totaly ignored these days though he was acclaimed in the thirties as the best portrayer of the part, until Basil Rathbone appeared of course. The BBC documentary 'A study in Sherlock' shamefully gave him no mention. Even the Sherlock Holmes society in London got rid of their 16mm prints, which I now have incidentaly. The DVD versions available are awful. Mikael. Yes I forgot to say 1 reelers, it must be an age thing. Allan. Good to see those films are in very good hands and it is jaw dropping the way many films have been more or less thrown out in more recent years. There is a small group of Arthur fans in Manchester so its nice to know he is still loved. After an abortive attempt to run my print of T/9107 "Sporting Love" (splitting more severe than I thought, more work needed) I then spent much of the afternoon trying to get my print of T/9103 "Land Without Music" to run. Despite careful checking beforehand it still required a few stops along the way, mainly for dry splices. The other stops were for splits, that wartime stock really is getting brittle isn't it! Mind you the person I got it from only parted with it precisely because it was in such a state and to be fair the last fifteen minutes or so is in great condition so I can't really complain. there is a copy of the sound catalogue on ebay right now. Yes Dino, what a coincidence, shall put in a bid! OK back to Lee's original post... Tonight I began watching TWO TO ONE (Pathescope S-724 2 x 300ft notched) the fabulous 1925 Vitagraph version of The Magnificent Ambersons (aka Pampered Youth) . If only this whole film survived...I was testing out a lamp conversion in one of my Bolexes and was pretty happy with the results. Plus this one came to me extremely damaged so it has taken me ages to repair this to be projectable. Mikael. Try to get hold of some FILM RENEW cleaner. I’ve done all my 9-5 prints with it and they do run much smoother after a good dose. Apply using a clean lint free cloth the left to soak over night. Next day wind back onto original reel running film through a clean cloth to remove any excess which makes for a nice even coating. Have Sporting Love myself with good old Stanley Lupino which is a nice film also featuring Barry Lupino who made it into a good number of films. Dino. Never seen that film before and looks good. Ran the 300ft notched Hal Roach Our Gang film Orphanage Days and a couple of Popeye shorts. Thanks for the advice Lee. I use Cresclean usually which seems to help a bit but judging by what people say Filmrenew may be better. Sadly there is only so much that can be done with some prints. 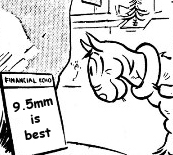 One of the six Steve the horse cartoons made in Britain Yay! Good old Steve goes looking for treasure which he does find after tackling a haunting. We also have the Steve the Horse Fan Club in our region which is fun to be involved with. Excellent Lee....i love Steve, but have yet to acquire one of the sound prints. This is the only STEVE also issued in super 8 sound, by Buckingham, if I remember correctly. Hi Dino, I succesfully bid for the Trace Pathescope catalogue. Congrats, it is a very useful book. Clinton your mention of Popeye inspired me to watch Dizzy Divers T/9509 which is my favourite Popeye gem as we see him looking for sunken treasure, but not without a battle from Bluto. Sadly it’s a fine example how bad Pathescope sound tracks could be with virtually non existent sound present. The children find this cartoon absolutely fascinating and it is one I always include if giving 9-5 shows out and about. This was closely followed by Secret of the Lock T/9002 a fine 6 reeler in which Seymour Hicks tries to prove the Lock Ness monster is still about. We just love Seymour and interesting to note much of this was filmed at Ealing Studios as well. Ok this kind of fits...i am teaching a graduate class on archiving and tonight we talked about collections/collectors and I showed Lights Out and the Stars Appear and then told them the archival field could learn a lot from the nine-fivers.. Finished repairing my 200ft b/w silent The Adventures Of Popeye, bought it off ebay and it had sproket hole tears in about 5 places, so had to cutout those sections - a shame but at least it means it can be screened again. It was clever in the way it used live action with animated Popeye segments.This is my first Popeye 9.5 that is longer than 30 or 60ft. Watched some really nice colour home movies on 9-5 filmed at one of our finest seaside resorts. Watching these 1950's home movies on a large screen and in vibrant colour makes for a nostalgic trip down memory lane with the original film maker carrying out some nice filming, editing and with hand made titles. This is a film you could easily do a then and now remake to showing the contrasts of passing time. We used the Pathescope gem again with seems to have enjoyed its TLC refurbishment. Ah the wonders of a 9-5 show. Seymour Hicks in this British Lion silly little bit of fun and as we are making ready for the screening ‘Scrooge’ seemed an ideal flick to pop on. Followed by ‘All stand for the Queen’ and we did! Children operating a welfare centre looking after sick children, plus a villian is trying to steal things.These films are great to watch especially as it shows what they would put on film without worrying about being P.C.Pure entertainment for then and now. Had to do one join where the frame was burnt and the film broke,and another frame did have a burn hole but it run thru that part fine, I guess it will break one day but I will wait for that rather than losing a few frames now.Must've been screened on a non-notched projector and someone stopped the film to read the captions, I also don't have a projector that stops at the notched titles.But I can read the first few words to get the idea of what is happening. Also a few 9-5 home movies which I’m in the middle of filming extra shots for. What film guage was Lights Out and The Stars Appear filmed on? My guess would be super 8 sound because of the lip-sync sections. Hi Paul. It was filmed on 16mm by a very good team of film makers with a very small number of 16mm sound copies also being made. I’m guessing they used a Uher reel to reel recorder for the live sound which would have been the form at the time. A couple of 9-5 sound test prints were also struck but they were not happy with the quality so no further prints were made on 9-5 sound. The super 8 prints were made available cut 400ft length and complete 2X400 (fits on a 600ft spool). Now then, the early 8mm B&W prints were on acetate and not that sharp. Latterly prints were made on polyester as well which I understand Derann produced although not confirmed. Since the 1980’s it was intended a video update to the 16mm film would be made and much filming has been done for 20+ years, but sadly there seems to be no movement to get it edited which is a bit weird. I got asked if I would edit it at one point but with such a mound of tapes and no script it’ll probably take six month to just sift the tapes. It is doable though and it would be wonderful to see the group have a big push to get it out and fly that 9-5 flag nice and high. Just projected the "Our Gang" title,"Sundown Limited" on my Pathescope "Ace" projector. Print quality good and the Ace seems to be working well. I spent many happy hours back in the fifties with my Pathe 'Ace', later with the motor added. It introduced me to Chaplin, Laurel and Hardy, Popeye, as well as feature films, some of which I have found since on DVD. The print quality, I remember, was excellent on most subjects, unlike some of the subsequent DVD copies. Incidentally, one of the films was 'Master of the World' SB/887, a silent title, which I have recently hunted down on DVD from a German site. Unfortunately, though it has the advantage of sound, it's German without subtitles. Felix plays romeow,200ft silent.Bought it on ebay for only £6 plus p&p. Great condition,no splices or damaged film,obviously looked after.Bargain price and maybe the best quality 9.5mm film i own to date .Felix the cat has to fight off competition to woo a girl which he does.A fun little film.Very basic animation that works really well and highly entertaining. Why did the Sherlock Holmes Society sell off their films; a year or two back I came across an auction for a 35mm film (an early British talkie)that belonged to the Society; I think the price realised was about £70, which was peanuts for an irreplaceable item. I have a 16mm print (Canadian Broadcasting Corp), of the pilot episode of the Holmes series starring Ronald Howard. Don't know why they sold them off, but I got three 16mm Arthur Wontner S Holmes films from the sale. I watched three 30 metres reels I shooted before going on holiday. They waited for me in my mailbox. Two were shooted at Waterloo in June when there was a parade with soldiers in costume and a little reconstitution of an amputation in the soldiers camp. There will be nothing in Waterloo next year as they are preparing the big 2015 festivities for the 200 years of the famous battle. The third reel was sooted in Brussels begining of July. There was a (little) middle age village and, as every year, a parade with people in costume. My films were not perfect but I was happy to see them. DANCING DAYS (1926, Pathescope S 631 notched 300ft) This was an interesting comedy drama that features an ending that no one will see coming...For a Schulberg indie starring Helene Chadwick and Forrest Stanley, I was pleasantly surprised, and it is one of the rare pathescope releases that retained its original title. Don't know too much about this, so I ask ... What's a notched film? The Pathe Baby system was designed to be easy and economical. One of the ways was to notch films so that it would stop in the projector for a few seconds and then start automatically again. This allowed to use only two or three frames for the tittles and for any not moving part of the film. So you could have a longer projection time with less stock. Ah, okay. Thanks :-) Didn't burn the film then? No, the light was not powerful. Autour d'un film de montagne (Around A Mountain Film), an intersting sound short about the making of Premier de cordée (premier means first and cordée is all the alpinists from the same rope). It shows, as you can expect from the title, the actors and the cinema team when they are shooting the film. I just watched a film I shoot and came back from the laboratory today. It was a Middle Age village with people dressed and acting like at that time. Great colors ! Feu de joie, a french film, sound version. 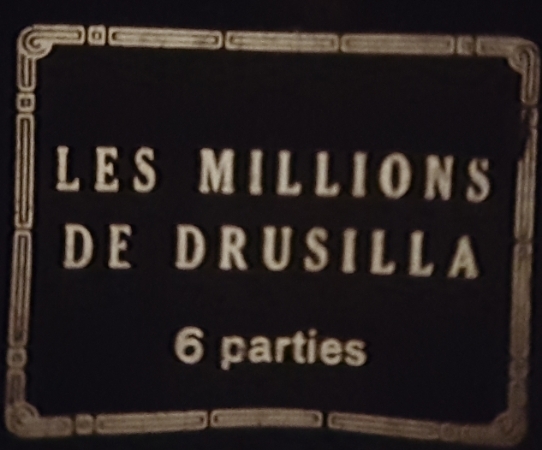 Now that my traveling is done I have time for some films again.. Tonight I watched a collaboration between two of my absolute favorites Betty Balfour and Marcel L'Herbier entitled Little Devil May Care aka LE DIABLE AU COEUR (1928, Pathe 20 x 30ft notched reels despooled to 2 x 300ft reels) The movie is sort of like L'Herbier's version of Sparrows, for those not familiar with it, and it features some of the most beautiful, artistic shots of any Balfour movie. Watched it on the trusty Bolex DA. 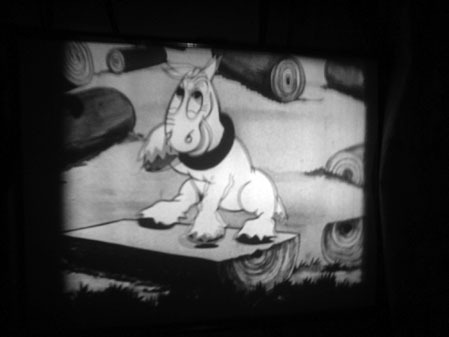 Watched good old Steve the Horse in a 9.5mm optical sound film projected on a 1937 Pathe Vox projector. I was cleaning and lubing my Pathescope Ace yesterday and got all nostalgic for my teen years when the Ace was my introduction to a lifetime of cine. 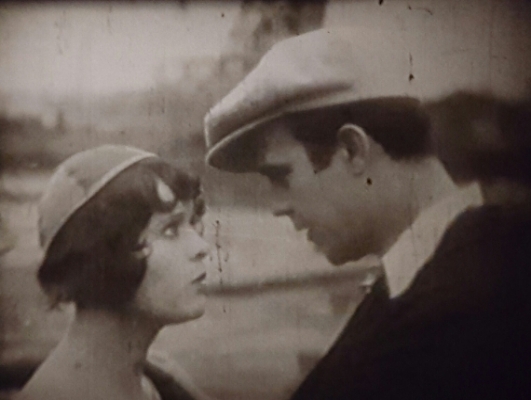 Back then I would rent silent 9.5mm films from the local photo shop and spend hours hand cranking through the many silent classic films. The days of hand cranking 300ft reels are long gone, but I did spend a copule of hours cranking some 30 and 60 footers. Included in my Ace marathon were such titles as Redskin Raiders , Mickey Sells Hotdogs, Old Crocks and Automobiles, and some Popeye 200 footers including The Hyp-nut-ist, A Clean Shaven Man. All presented on my giant 24 inch screen! I was lucky to buy 5 x reels for only NZ$25 and watched them all this past week. And 2 reels of Home Movies from 1938 in Skegness plus The Isle Of Man,and they were done really well with titles added etc. Watching these it was interesting to remember that they were filmed over 75 years ago! Sure I have no idea who they were but the scenes at a circus and Nottingham Goose Fair and the other holiday scenes are interesting and fun! I bet the film-maker wouldn't have imagined that a short note would be added to a forum on his films in the year 2014!!!!! I'm pretty hoocked on this little sound 9-5 gem and trying to find out about Jessie 'The Child Impersonator' who is in the musical short. I wonder if anyone has info on Jessie? S 547 "The Undying Flame" a notched 2 reeler obtained packaged in one of the earliest packaging used by Pathescope before they used the famous blue cardboard round cartons. Screened it on my Bolex PA with modified electrics and halogen lighting. Also screened the sound test reel "Multum in Parvo" and a popeye cartoon to give one of my PAX machines a "fire up" to make sure the electronics are still working o.k. We don't want the capacitors drying out do we! The other one is still very poorly at the moment with drive pulley Mazak disease!! Have not been able to fit the steel replacement yet due to so many other projects in the pipe line, and everything seems to take so much longer these days at my age. Ken Finch. I recently got out my Specto and watched two 300ft Cadbury films (silent of course). One is of the Cadbury chocolate factory in what looks to be 30's-40's. Great footage of the manufacturing process and factory workers. One shot shows the chocolates being decorated by hand - amazing! The other is a film about the Cadbury farm - same era because the cows are being milked BY HAND! using the old three legged milking stools. What I found strange was that all the milkers were men. Absolutely fascinating. Pure nostalgia and throwback to a bygone, much simpler farming life. Luckily the films have survived well and are in superb condition Has anyone else seen these films? Just watched Felix The Protector - 30ft B/W. 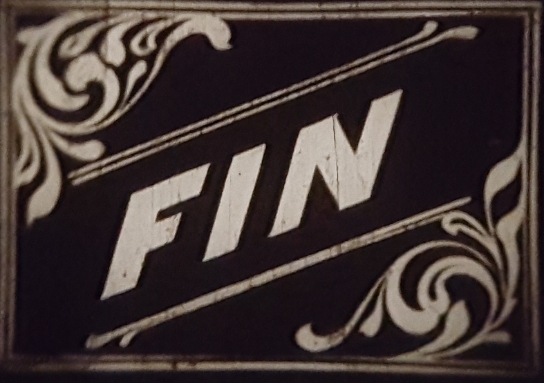 Even though it is a short film and that it is notched I easily got the "jist" of the story.I don't have a projector that pauses at the words but as I said it was just a story of a dog chasing a boy up a tree and Felix comes to the rescue - Fun from the 1920's. Thanks for that bit of information. I thought they must be unusual and they are a joy to watch. I have another one which must have been sponsored by Colgate. It's titled Ivory Castles and is aimed at encouraging children to look after their teeth. Although it is of the same era, I would imagine, it would still have appeal to youngsters today. I just love these old pre war films. Going back to the Cadbury films and my surprise that all the milkers were men, I was forgetting that in those days married women were not allowed to work. How times have changed!. Steve the Horse in ‘Steve’s Canon Crackers’ 1937. Started preparing the film programme for my 9-5 sound spectacular taking place in a few days checking splices as you do. Rather splendid evening watching my old pal Hughie Green (right) in Midshipman Easy 4 reels and sound. A sharp 9-5 sound print this and joy to view..
Hi Lee, I have the "Mute" 4 reel version of this and many years ago John Stocks sent me a reel to reel recording of the 9.5mm sound track which I played back whilst projecting the film. Had great fun trying to synchronise it !! Nowadays I confess it is easier to watch it on DVD (One of the Ealing Greats collection), and it is the full uncut version. I remember reading the book as a boy. In fact I read all of the Captain Marriott novels. The film does keep very close to the original and the late Hughie Green was well chosen for the part. Ken Finch. Hello Ken. Easy is a 9-5 sound film which rarely becomes available and I’ve certainly been looking for a print for many a year. I do have quite an affinity with it due to working with Hughie in some 70’s stage shows and also TV work and when he used to come to our home we often chatted about his films which were many including Midshipman Easy. It meant a great deal to me when I finally got my mitts of a copy on film and it’s probably my prized 9-5 sound film for obvious reasons. In the 80’s the film did get a satellite broadcast just once and like you the new DVD is very welcome with more in the pipeline we are told. I keep hoping some company will release ‘Josser Joins the Navy’ 1932, a film I spent years trying to find a 17.5mm copy of for my late father who projected 17.5 and 9.5mm sound films around the villages of Kent during the war years. Dad so wanted to see that film again but alas my search was not to be fruitful. Hi Lee, "Easy" along with a number of pre war releases seem to have been withdrawn quite quickly because they did not re appear in the post war catalogues. I guess this is why they are so rare. There a quite a few films that were once on 9.5 sound or silent which have appeared on the Ealing collection series including "Secret of the Loch", but I guess you know this. It is interesting that there appears to be a market for these old films and not just by those "brought up" on 9.5mm (The original Home Cinema and film collectors gauge). Ken Finch. I've just watched two sound films A Hockey Hit and Shirley aime les chiens, a, as you could guess, film with Shirley Temple. This film has an English sound but is subtitle in French. I don't think the Shirley temple film was ever released on 9.5mm by Pathescope in the U.K. Must have originated from the French Pathe company or perhaps Film Office. I have a couple of the early Shirley Temple sound shorts on Super 8 but recently purchased box sets on DVD region 2. Ken Finch. I saw two other Shirley Temple films (at the monthly projection of the 9,5 club) ; they were also in English sound with French subtitles. We also watched "Cendrillon de Paris", a French film. I watched, today, at home, two documentaries (both in French) "L'opéra de Paris" (everything is in the title) and "Symphonie en blanc" (an opera related film). I've just watched a French sound film "Le Capitaine Fracasse". A French documentary "La main de l'Homme" (The Man's Hand). It is about the human hand. I am always impressed how Pathé could make documentaries with interesting content about so various subjects. You always learn things and the vocabulary is ritch. This documentary has a section which contains a fiction. They didn't hesitate at that time to show in an educational film someone taking a cigarette (remember it's about the hand). Then I watched "Monsieur met la main à la pâte", a short film for which Grahame Newnham gives in English the title Man Puts His Hand To His Head (but you loose in translation). I ended with The Mellow Side, a reperfored musical from the 40's. A French film : Titin des Martigues. The Show The Thing, a British musical, then an unindified extract of a French (musicals) film I received for free when buying another film and the song My Girl Loves A Soldier. Animal Wonderland, a British film that surprised me as some sections were "like new", completely lines free (the film was treated with Filmguard, but like all the other films, so I think it doesn't explain everything). 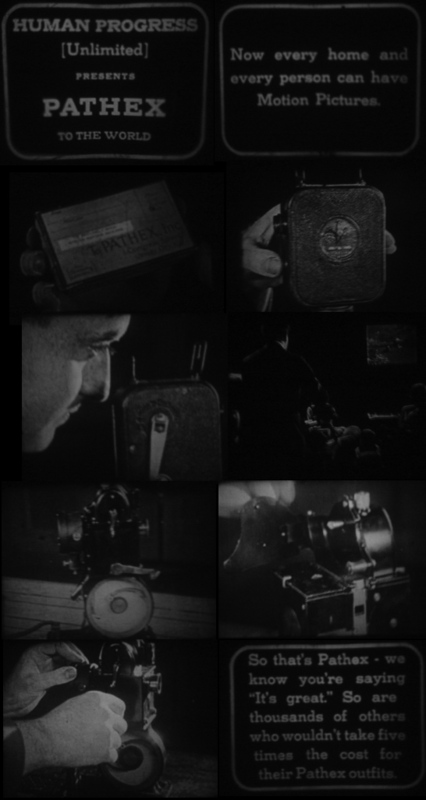 Notched films (about cities of Middle East) and home movies from the twenties and the thirties. The interest of the home movie films varies from one reel from another but among them, a couple (with wonderful clothes) kidding with a garden hose and scenes from a market in Paris that no longer exist (les Halles). A sound film Lion Variety (English songs). "Full Steam Ahead" a silent "Our Gang" (Little Rascals) film. I also have a print of "The Sundown limited". Same content; was "Full Steam Ahead" a release from Pathescope in London? Both prints are in good condition. Tucson, a sound film I put on a 700 meter reel. Good sound and picture. Today, Les gaités de l'escadron, a French film with Raimu, Jean Gabin and Fernandel. Yesterday, a doccumentary, Le froid. Un monastère (A Monastry), a sound documentary about monks and "Marionnettes de George Pal", a compilation of three animated sound shorts. Strangely, they have French titles but English sound. A good surprise, an animated (sound) film : Amour en blanc et noir and a French sound feature (mounted on a 800 meters spool : Debout là-dedans. A French sound documentary "Malheur aux vaincus". I spliced the two spools together. Except for two scènes that are (in my opinion) too long, it is an interesting film : there are close ups of animals that could stand the comparison with todays documentaries, you can see several time the filmaker with his camera (which is of course nice for us) and the comment uses a high level of French that should inspire some people working for television now. A few days ago, "Gringalet", a French feature and last night "Panorama musical", a documentary. Both are sound films. I've just watched "Port d'attache", a French film. It was a sound copy. I bought this on e-bay as unknown contents.....A peak films release called "TEASY ON THE EYES" 100ft Glamour/Comedy....I didn't know what it was before I screened it as it had no label or box.....it was amusing in the fact it was quite racy in the 1930s.....she is wearing underwear and bra and posing on a couch while the photographer is distracted and keeps knocking over the lights and camera etc.The film its self is in quite good condition with no sprocket damage and has complete head and tail film.I guess it was only watched on special occassions when no children were around ! Clinton,are you still looking around for some 9.5 mm film? 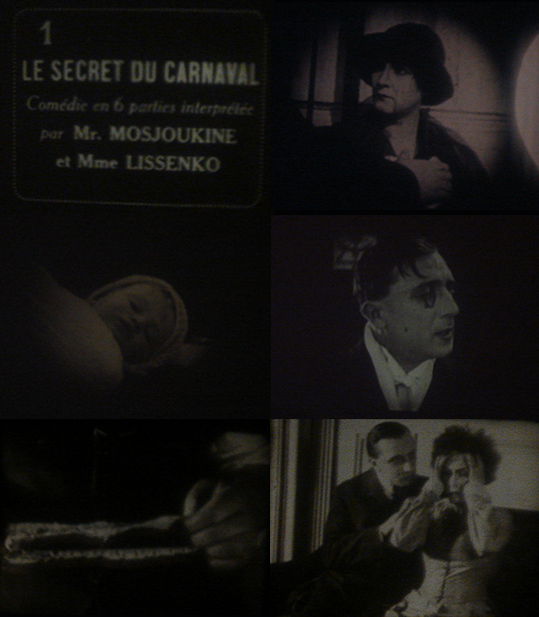 Just began watching titles picked up at Argenteuil, after respooling and repairing...Tonight the great Ivan Mosjukine in the rare early silent version of L'Enfant du Carnaval retitled Le Secret Du Carnaval(6 x 30, Pathe 596, notched) with his sometime costar Nathalie Lissenko. Sad I didn't see you at Argenteuil ! I watched two sound films "Maman" with Françoise Rosay ; the original title of this French film is "Maternité". The sound on my copy is poor but the film seems to be rare following the few informations available on the Net. The second film was a cartoon in colour with an English soundtrack : Inspector Willouhby in Rough & Tumbleweed. A home movie I shooted three weeks ago in Amsterdam. It came back from the lab today, which was fast as I sent it only last week ! it was a 30 meter spool of a trip on a boat (to complete other footage I took in Amsterdam before the Summer holidays) I also watched a French (sound) film : Le petit Jacques (from 1934). The French (sound) documentary "Solesmes" about a monastry. Good language level on the comment ! "Le bataillon du ciel" (part one). The original film is two parts and so is the 9,5 sound version. It has two 600 meters (2000 ft) spools. The film is in French but the action (of this first part) is located in Britain and strangely there are some (very few) dialogues in English that are not subtitles). I hope to Watch the part two tomorrow. The part two of "Le bataillon du ciel". tres cool et joyeux Noel, mon ami < !!! oui, je pale Francis et veux le bien pratiquer chaque fois j'ai l'occasion !!! translation- yes, I speak French and like to practice it well every time I get the chance to !!! I watched Le révolté, a French (sound) film. The action is set among sailors. I tested my newly acquired lens with this film and was happy to have a bigger picture (that fills all my screen) than before. The Man In The Mirror. The sound was more than poor ; I did something I never dared to do before : I moved the screw that adjusts the position of the exciter lamp. It did work perfectly ! I don't know why some films need an adjustment. I noticed with another film (a musical extract from a feature) that pressong on the film with my finger improved the poor sound that film had but I was afraid to do something wrong by changing the setting just for one film. I had no other choice with The Man In The Mirror, so finally I'm happy I did it. L'aventure est au coin de la rue, a French sound film. I've waited for 800 meters reels as I have still a few features not monted on them. This film luckily fits perfectly the spool. However, the previous owner had put the film on the reverse side (Mirror picture), so I had to put it right before projecting (and of course I noticed it only when I started the projection). It worthed the effort as the film, although old, didn't had a single break. Oh and Dominique - Oddly enough I just looked at the April/May 1940 issue of Pathescope Monthly tonight which happens to be the issue detailing Man in the Mirror. You have excellent readings, Dino ! Le sauvetage du Dakota, a sound newsreel I recently bought. Le miracle de Sainte-Thérèse (I guess no need to translate this title). I had to face two problems : some bad perforations and a too short reel to contain the feature. I was prepaired to put small papers onto the reel during the projection to localize the perfo to repair when rewinding (but they were not so numerous so this was a good surprise as when I Filmguarded the film I imagined it would be worse). No solution so far for the reel. It seems that is not possible to make large spools with a smaller core due to the lack of demand (a minimum of 500 reels has to be order because a smaller core would need a special fabrication, so...). Dominique, Small core reels are not very popular for 9.5mm because so many of the projectors have the take up reels driven by spring belts with the tension designed for the standard core size. When a small core reel is used for the take up it pulls the film too strongly, resulting in damage to the perforations at the bottom sprocket. hence so many of the films have damage at the start! The "Cyldon" 400ft and 800ft reels have small cores and should never be used as take up spools. Ken Finch. Good warning, Ken, thanks. I watched Here Comes Troubles (first three parts) and Return Fare To Laughter. I wished to Watch more films but at this time of the year, it is still day around 9.30 pm in Belgium. 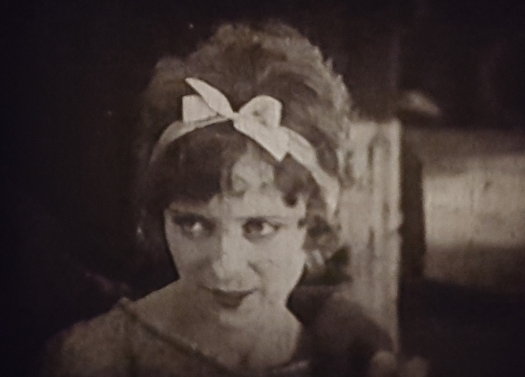 Two silent films "Betty Boop Little Nobody" (actually I have the silent version of this sound cartoon) and "Our Gang Full Steam Ahead". After a long time, my Buckingham enlighted my evening again thanks to a friend who lifted it yesterday and put it on my table (costed me a pizza). So I watched two documentaries in French : Le dernier des Incas (The last of the Incas) : it was about people of South America, Icare (the story of aviation) and then a British musical : Gathering Of The Clans. I didn't Watch more because I realized that the two French films were not spooled on the correct way for the Buckingham so I had to respool them which took time. I hope to be better prepared for tomorrow. 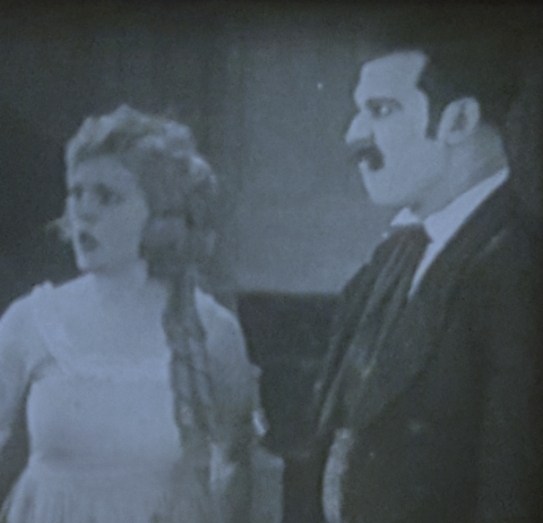 The Mollow Side, a 16 mm sound film reperfored to 9.5. S I used a lens that reverses the picture. Then a French documentary about a sport school : L'école de Joinville. This was followed by a French feature : Le roi des resquilleurs with a famous singer (Georges Milton) of the time the film was shooted. 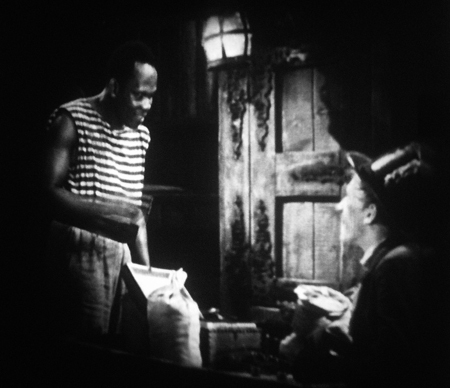 And to end, Stan Laurel explore l'Afrique. The two last films mentionned were given for free. They were not in good condition regarding the perforations but my restoration was not bad and I've had few problems. The British sound documentary : "Killers Of The Insect World", then a French one : "Grande île de Madagascar". I watched a third film but this one was in poor condition (it belongs to the free films lot) and unlike the films mentionned in my preeceding post, it stopped several times in the projector. So I marked the places where the problematic perforations are and I will fix them tomorrow (in the light). The film has no main tittle but I found out that it is "Danse éternelle". Multum In Parvo, The Hyp-Nut-Tist Popeye) and then a French film : Ces messieurs de la santé with Raimu and Pauline Carton. Three sound documentaries : Fête arabe, Le Mont Saint Michel and Images de vacances. The musical film Charing Cross Road (in English) and two (sound) documentaries : Les fourmis (The Ants) and Aile blanche (White Sail). Voyage en Hollande, a very nice documentary about The Netherlands, les papillons (The Buterflies) and Braco. All sounds films (in French). Yesterday night : "La fôret vivante", "Comme un poisson dans l'eau" and "Soft Lights And Sweet Music". All sounds films. Some more info about "Comme un poisson dans l'eau",please? The title can be transleted by "like a fish in the water", and is an expression that means "feel nice". The film is a documentary mainly about water and swimming. You can see several scènes shoot underwater. Two "military" (sound) films : A l'assaut de la terre (about paratroopers' training) and Manœuvres navales (about navy). I screened "Partir ou mourir" (The Edge Of The World). My copy is not bad but there is a noticeable quality difference (on sound and picture) on the second spool which is not as good as the two other ones. Then, I respooled and Filmguarded another feature I hope to Watch tomorrow. It would be nice if other members could also post the titles of the films they project :-) Today, I saw the british sound film Sporting Love and the French sound film Les croix de bois (The Wooden Crosses), a film about the first WW I. It was the best day in the year to screen it as we celebrate in Belgium (with a day off and a commemoration) on 11th November the end of that war. The film is part of others I received for free a few months ago and it was a surprise that, unlike others it was in good condition. Accusée, levez-vous !, a French sound film which ran well. Good sound. Two sound films. First, Les Monts en flammes. This, older than I, copy has many well visibles lines but ran well in the projector and the sound is good. Then I screened Little Men, a good copy. I enjoyed both films. Marry The Girl, a British sound film. I screened a silent version of a sound film tonight. The French film is titled Mort ou vif (and exists also a 9.5 sound version). I got it on a 250 mt + 100 mt spools. I respooled the film on a larger spool capacity and Filmguarded (as usual) the film. Doing that, the weak splices usually break but that didn't happen this time ; they waited for passing through the projector ro do that. So I had several breaks (it seems that non film purposed tape has been used to make these splices). As the film was a detective one (and I was following the story) I decided not to stop the projection to check all the splices as it should have been done. The last section of the film ran without splices break which was a consolation for the numerous breaks I had during the projection. I will resplice the film tomorrow (as it is late now). The effect of the silent presentation of a sound film is far better than what I expected. I was used to that befor I had sound projectors and forgot that it was also nice to see a film this way when it is well edited with enough text ; that's what Pathé did very well. The bulb of my projector kindly blew up before the starting of the projection which saved me from an unwanted break. I watched Monsieur taxi, a French sound film with Michel Simon. My copy is supposed to have been owned by the actor. I'm sure you will enjoy that Clinton. Tonight, I screened a French sound film mounted on two 600 mt (2000 ft) reels : L'or (The Gold). The film ran perfectly. A British sound film : When Knights Were Bold. Le brigand gentilhomme, a French sound film. It just fits a 800 mt spool. Ouf. Yesterday night, I watched Etoiles de music-hall, the beginning of one of the few 9,5 musical reels released in French is missing but I got it for free and it is still enjoyable. Then, the feature (mounted on a 800 mt/2600 ft) Le saut dans l'abîme, a moutain film. I then screnned the documentary Autour un film de montagne, the making of another moutain film, Premier de cordiée. Une fois dans la vie (Once In Life), a French comedy with Noël-Noël and Renée Saint-Cyr. Le mot de Cambronne (Cambronne's Word), a film for French language's lovers. Si j'étais le patron (If I Were The Boss). Nice comedy with Mireille Balin. The song "Seven Years With The Wrong Woman" and then the French film Jeannou. Yesterday night, Les chevaliers de la montagne (Knights Of The Mountain). Tonight Gangs Incorporated (aka Paper Bullets) (Pathescope 9.5 SOUND , T9656 6 x 300) on my Elf which it seems might be one of the only 110v modified Elfs so I feel extremely lucky....Fun little crime drama with Joan Woodbury (as a brunette and a blonde)and a bit role from Alan Ladd but it looks like the cuts come near the end because the second half wraps up rather quickly..
Mon oncle et mon curé. Good copy, almost no lines at all. A Clean Shaven Man (Popeye), South Seas Sweetheart and three musical miniatures. 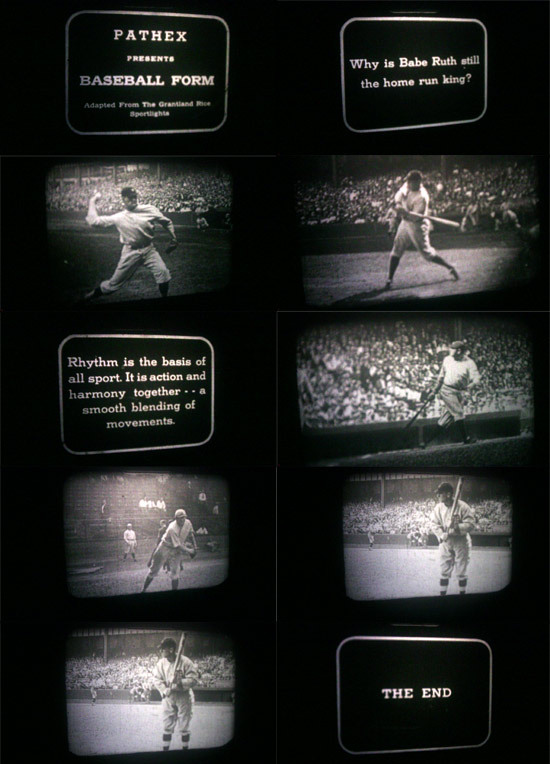 Thanks to Janice who put some pictures taken from her Pathé Baby projections, I wanted to screen some notched films. I took my Pathé Coq d'Or out but for some unknown reason, the motoe belt was missing (I haven't used it for a while). So I had to use the handcrank. Due to the effort needed, I limited the projection to three 20 mt / 60ft cartridges :-) So I had : Le Bosphore, Le lac de Lucerne and Culture du coton au Soudan, three documentaries. I will try to find a sizeable belt in a DOY shop tomorrow. 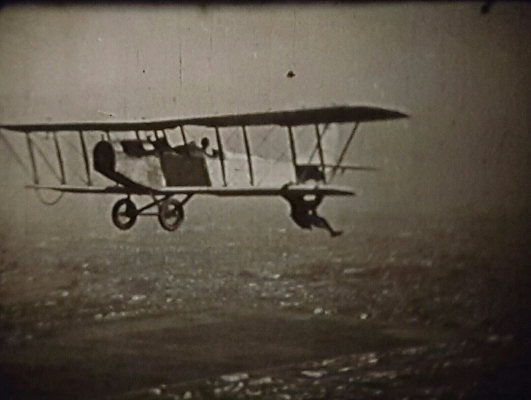 Tonight I watched Avions De Proie (aka Wolves of the Air -1927,notched...5x60ft FR, pathe 3025) with a great cast of Johnnie Walker, Lois Boyd, Maurice Costello, and even William Boyd and directed by serial veteran Francis Ford which explained the great aerial action stunts....I used my Bolex DA to fill my 8 foot screen, which is surprisingly bright for a notched projector...I still want to find a better lens..
Tonight was the Jimmie Adams comedy BANG(Pathescope SB801, 1921) along with Fur and Feathers which is an excerpt from this film....Does anyone have a copy of The Alarum Clock they want to sell so I can have all the pathescope shorts from this Jimmie Adams comedy? The Coronation Of H M Elisabeth. After yesterday's film about the homes of the King, it was a logical choice :-) The good surprise is that the film is followed by a Queen Trailer (so I got a second one). I Wonder if in the British cinémas, there is still a Queen trailer shown and if not, when it would have been cancelled from the programmation. Thank you for those precisions, Ken. I didn't know the Queen trailer was shown at the end of the last show. I hope we can get more informations about dates. A sound film "Le commissaire est bon enfant" and then a silent one "Double Patte et Patachon : les vedettes". Double Patte et¨Patachon are two Danish comic actors (Fy og Bi), I found on the Net that their name were Long and Short in the UK and Ole and Axel in the US. L'inévitable monsieur Dubois, a French film from 1943. Josette, with the famous actor Fernandel (and his daughter !). 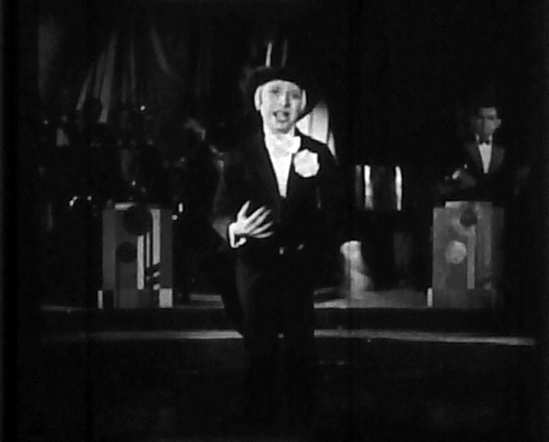 Fernandel sings in this film. A French comedy : Florence est folle (Florence is crazy). I decided to Watch films I already mentionned here : first two musicals in English : "British Lion" and "My Girl Loves A Sailor", then an optimistic French musical film : "Feux de joie", released in 1938. It is sad to think that soon after the young singers played in this movie, the WWII started. Big evening : my first projection after three weeks far from home. I watched a musical film with Jack Hylton : Sha Shall Have Music. Adventures Of Popeye. I watched it twice as the sound was awful. It took me the whole reel to fix it (actually long time to see what the problem was then a few seconds when I found it). Mix cartoon and real characters (children). Then The Last Adventurers. What a fantastic gauge. 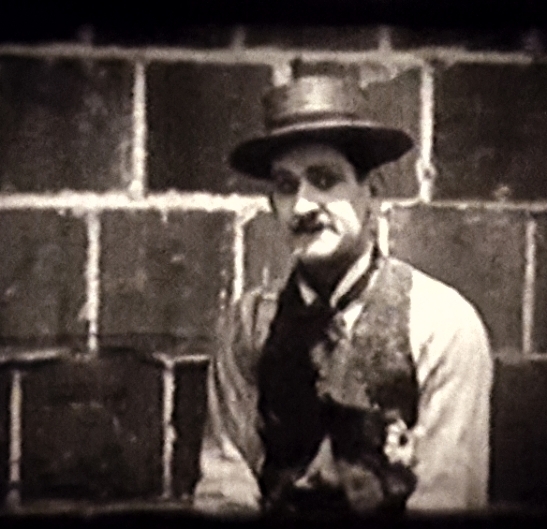 You not only can watch real film but you do it with an historic medium that was born in 1922. I decided to watch a sound film with my new Buckingham, set until tonight on the 16fps position. It took me a "certain time" to understand how to switch to 24fps. It was not only a question of moving a belt as there was also a piece (the 16 fps one) to replace by another (the 18/24 fps one). Finally when it seemed to work more or less, I checked with a cartoon and to my big surprise, it was ok. Then I choosed a feature in French (to be sure to be able to see if the speed was ok) and it was perfectly set at 24fps. The film was Dernier atout, mounted on a 800 mt spool. I wish I was still on Holiday to watch more films but I sadly have to go to work tomorrow. First a cartoon, that is supposed to be from the Steve The Horse serie as Grahame Newnham's site says that Steve's French name was Poulichette. The title is : "A la manière de Bozambo" (Steve is in the jungle and has to escape canibals), but I could not find it in Grahame's list of French sound films and from the summaries of the six épisodes, I could not identify it. I think I saw this cartoon at a Group 9.5 projection. Maybe the French release is an extract ? If anyone has any idea...Second, a film I got for free but that is sadly is very poor condition. It is the first part of a two reelers (second part is, of course missing) and is about the 40 first years of cinema. There is an interview (probably around 1935) of one of the Lumière brothers. The film has some part of the pictures "faded" and the sound (for that reason as it is optical) is not good. I ended with a film I bought yesterday although it was not scheduled. I was buying another title and told the seller that I had been surprised to see on his site the film "Feux de joie" advertised in three reels as it is supposed to be a two reelers (my copy, bought already mounted on a larger spool, is that lenght and the 9.5 catalogue says the same). We checked the spools and leaders and there were numbered 1 to 3. So, for more than 20 years, I had had an incomplete film (but with a understandable story of course). I finally saw was was not on my copy. It is nice to have surprises like that. The cartoon is STEVE OF THE RIVER, a takeoff of "Sanders of the River". I've just watched Public Nuisance N°1. Le rosaire, a French sound film. During the projection, the bulb blew up but I luckily had a spare one. By checking to buy other bulbs, I found out that they are much cheaper on the net. Today, Le voile bleu, a French sound film mounted on two 600 mt/2000ft spools. Yesterday, a sound documentary titled Brazil, it is actually a reperfored film (from 16mm of course). It was nice as it has some footage of the Iguazu falls I visited twice. Three days ago, I watched several shorts. Just watched Captain Kidd ( Charles Laughton) good film but sound track could have been better. Dom how do you know if it's a 16mm reperf? and what exactly is a reperf. a. The sprocket hole pitch is slightly longer. b, the sound track is on the opposite edge to 9.5mm so the picture is reversed unless you use a reversing prism in front of the lens, or can twist the film through 180degrees between the picture and sound heads. c. the sound track is on the very edge of the film and no frame line on the picture. Both edges of the 16mm original have to be trimmed off to cut it to width. Only a. applies if it is a silent print. I have a few 100ft "soundies" i.e. juke box films which the late Larry Pearce used to cut down. Hello, Terry. 9.5 and 16 mm films have roughly the same vertical picture size. So, it is possible to reperfor a 16 mm film to obtain a 9.5 mm one. For sound films, you loose a part of the soundtrack but otherwise both gauges are close enough regarding pictures sizes to get good results. Knowing if a sound film is reperfored is easy, the picture has a reverse (Mirror) effect. Of course, another easy way is to check the title you have in the list of 9.5 sound films, although some (rare) films originally released in 9.5 are not on the list. That is a very comprehensive reply and answers my concerns that any of my films are reperfs. None of mine are but it's a shame that soundtracks are so variable. I have films that are very good and others that need constant scanning adjustment. However, the picture quality is nearly always very good - almost as good as 16mm. How were the films you bought at Harpenden? I have watched only the short ones so far and they were all good, except one that was has the few meters missing (however, it is not an abrupt end). My stock of empty large 9.5 spools is reducing so I don't rush to respool films. I will probably check all my spools next week as there is a school Holiday here in Belgium and I may find interesting things at the BFCC. Pardon me for not acknowledging your very informative reply. Very helpful thank you. Ken, I didn't see your message before, neither. Maybe it didn't appear immediately ? 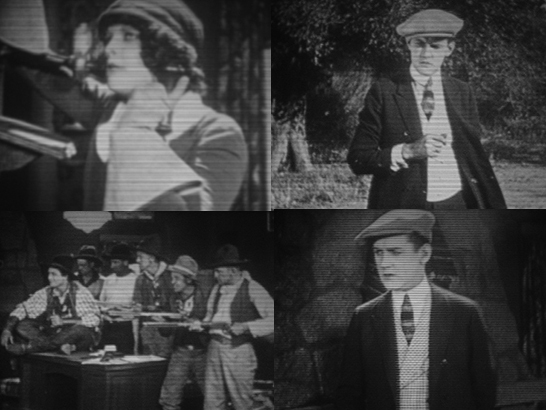 First, a silent Harold Lloyd film : A Sailor Made Man. I got it for free from a kind member of this forum I met at the BFCC. Then, a sound film : Secret Evidence. A good sound comedy : Here Comes Trouble. Watched yesterday : Cherio, a musical short and a Popeye in colour (silent), both films found in Blackpool last Sunday. Last night, three films bought in London this week-end : Sing, Bing, Sing and two "Variety" reels : number 19 and number 27. I unscrewed and then re-screwed the gate again and...problem solved ! I watched two films tonight : a musical : Clap Hands and a comedy (with Charley Chase) : You Said Hatful. Just screnned a western : La chevauchée des hors-la-loi. Another western but a silent one : "Four Square Steve", released by Pathescope. Lights Out And The Stars Appear, the only (known at least) copy of this film on 9.5 in the world (nothing less :-). As Said in the "Harpenden" thread, I won this film at last week auction at Harpenden. It was said that there could have been some issue with the sound but on my projector the sound was ok. There has been although some loop looses so I will have to check the perfos (that's of course a daylight time job). The film (as everybody at Harpenden could see it) was in a (too large) very rusty can, without clip or tape. What's more when I respooled and cleaned the film with Filmguard, I noticed that the cloth was dirty. I'm not sure the film has been regarded as a threasure as it should be. Second film : Les seigneurs de la jungle (The Jungle Lords), an animal documentary. I am glad to hear that this film Lights Out and the Stars Appear is in your possession now Dom. I have a copy on VHS tape and find it very interesting. If that is the only copy on 9.5 I would think it would have been secured already in someone's collection. Watched 'Dizzy Divers' a Popeye cartoon that I bought at Harpenden. I love the old Popeye and Betty Boop cartoons and have quite a collection now, but always looking for ones that I haven't got yet. Tonight, "Les trois mousquetaires", part 1. I watched recently home movie films I got from France, 50 30mt/100ft spools. I watched 39 of them so far. They are travel films (in colour) from the '60s and '70s. Just watched two silent films. One amateur film labelled August 1943. A Summer camp with children and catholic priest dressed as it was normal at that time. The second film is a documentary about the 1937 international exhibition in Paris. Two incomplete sound films : an extract of Le silence est d'or (with Maurice Chevalier) and a cartoon (without the beginning) that I believe to be La fanafare à quatre pattes (The Bandmaster). A British short (bought at Pimlico), Up To The Hilt, and then a French feature (mounted on a large spool), Un gosse en or. I watched Christus (1914) on a 900ft reel,it was released as 3 x 300ft reels.It has the opening titles but missing "the end". A few joins and lots of title-cards giving a great narration of the story.I think it was a big production with many people in it. 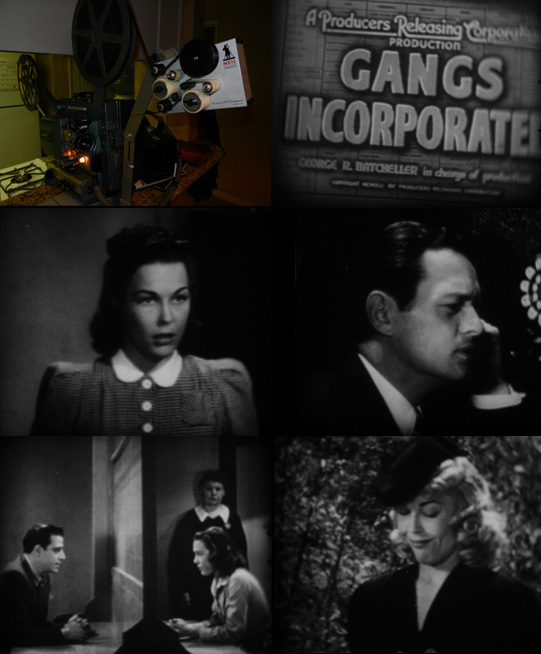 Also Pick-A-Back Plane (1938) it's a 60ft news segment from Pathe. 5 20 mt/60ft carters of a serie of 6 (the first one is missing) : Stage Stars Off Stage. All british celebrities from the '20s. it's not a story film so the fact that the first part is missing doesn't affect the pleasure of watching the others. Films watched with my Pathé Coq, so not a lot of light but I'm still happy with the led bulb I bought following Janice's suggestion. Indeed, Clinton. The celebrities of the time (not all movie stars) are shown in their daily life. To be honnest, except Jack Buchanan, I don't know any of them. Should be intersted to list them one day and make some searches about them. I got an amazing PM from Maurice Trace with full informations about the Stage Stars serie. I have not enough words to thanks you, Maurice. It seems that the two Maurice of the forum are gold mines of informations. Les papillons (The Butterflies) and Matin de France. Son Review N°1, The Wizards'Apprentice (a film that inspirered Walt Disney), The Tiger Hunt (very interesting footage) and The Open Road (a musical). All recently acquired films at Harpenden. Three musical reels bought at Harpenden. They are 16 mm extracts reperfored to 9.5 (in the '60s I was told, when Pathescope stopped). There image is normally reversed (there is no text) but I projected the films with my Ligonie so I had the correct picture. Although the soundtrack is a little bit cut, sound is good (better than what I expected). Then another reperfored film (also bought recently at Harpenden) but with a magnetic soundtrack : Donald Duck : The Window Cleaners. Good colour. You mentioned The Wizards Apprentice but stated that it was a 'review '. Not the full film? is is another reel. It consists in : (I quote Maurice Traces' excellent guide) A Highland Honeymoon, Peter Sinclair and We All Have A Song In Our Hearts, Kim Houghton. Not exactly been watching a great deal as I've been souping up another Pathe Vox replacing the transformer and fitting a new 25 watt Amp in the back box. But I have been running some Popeyes thru it testing the machine and should be completed in time for Christmas. Seasin's Greetinks 1933 a good cartoon for a Christmas show. Seymour Hicks in this fun romp and some ingenious underwater scenes created on dry land and superimposed diving bubbles. Scrooge, Its you I want and the above all starring Seymour and good mini features. Casanova, a tinted print. Actually, some scenes are tinted. 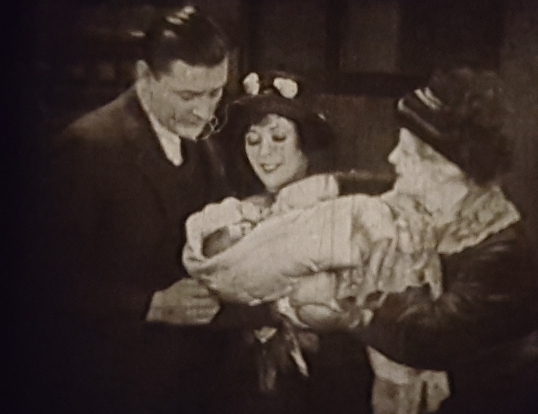 The colour chemicals that were used to tint the stock were made to hold since they are still there, probably as they were when the film was first sold. I was surprised to notice at the beginning of the film the short appearance of the famous actor Michel Simon in a very little role. Metropolis on 2 x 900 ' spools.